Sorsogon's dazzling topography makes it an impeccable candidate for eco-tourism - verdant rice fields, undulating hills, tropical greenery, vibrant springs, placid lakes and brines teeming with seafood. Its claim to fame are whale sharks in the town of Donsol. 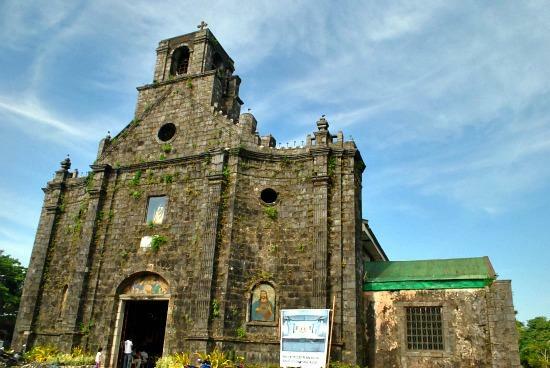 But even before the discovery of these gentle giants, there is a timeless favorite – the town of Gubat. 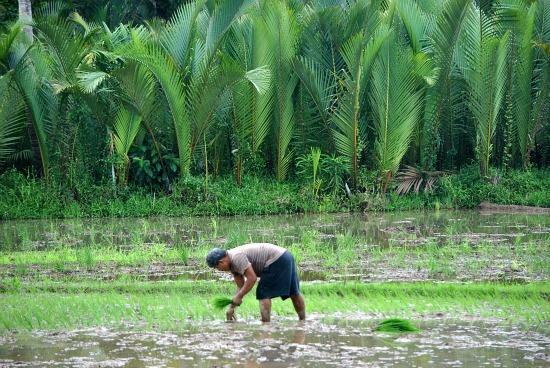 Like the rest of the bucolic towns of Sorsogon, Gubat thrives mainly on fishing and agriculture for livelihood since time immemorial. Its historical significance was proven by archeological excavations in the villages of Jupi, Tigkiw, Bulacao and Arima. The diggings here yielded artifacts such as ancient jars, primitive stone tools, and burial sites. Gubat's rugged coastline is hugged by powdery sand and cerulean waters. 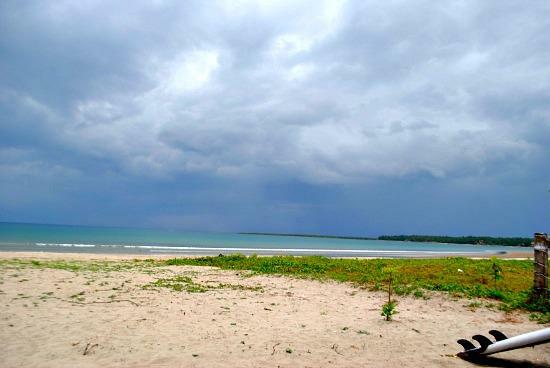 Despite the melancholic sky during our visit, the blissfully isolated beaches here never fail to astonish. Today, this drowsy town is slowly introducing itself as a surfing mecca in Sorsogon. 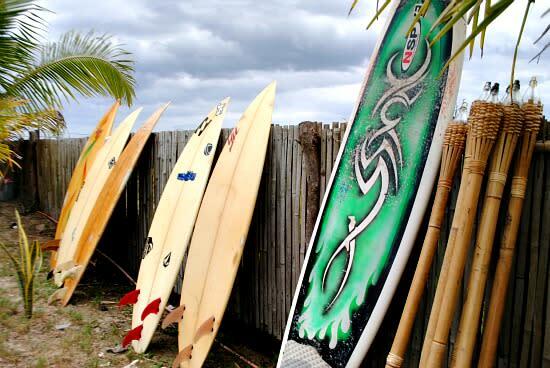 The birth of surfing here is said to have originated at Breeding in Buenavista community, an old breeding site of the Department of Agriculture. Over the years, locals have been mum about this reef break. It was not until a few years ago, when Gubat's surfing spot was finally exposed to tourists. I got to know a group of young local surfers in Barangay Rizal. Their humble cottage often filled with sun-kissed teenagers is located in the premise of Lacsa-Hilton Resort. "For a minimal fee of Php 200 you'll get to enjoy surfing for an hour inclusive of surf board and your own instructor”, says Noli Mercader, a surfer from Gubat. The surf break in Rizal beach produces consistent waves year round with the major swell season starting in October to March. Other reef breaks in Gubat are located in the settlements of Panganiban, Pinontingan, and Buenavista (Nico's Reef and Breeding). Unlike the public beaches bursting with cottages, the spectacular strip of Rizal beach is dappled with a few resorts and most of its parts are devoid of crowd. 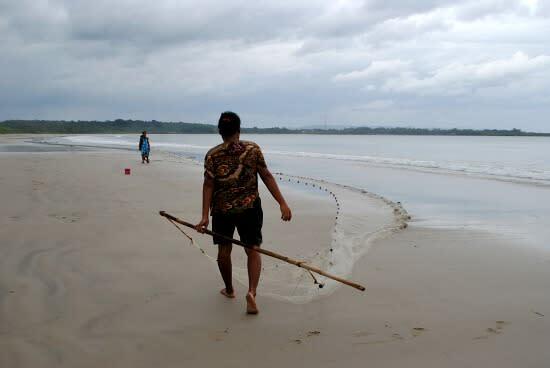 If you want to explore the local's way of life, walk further to the secluded part of the beach and you can catch some locals fishing or picking shells washed ashore. Because Gubat is oozing with seafood, it is highly recommended that you try its tasty and affordable fish, alimango (alimango) pawik (spanner crabs), cupapa (slipper lobster), prawns, and shrimps. Do not leave without trying a popular Bicol food called pinangat, available at Bigajo Kitchenette, The House of Pinangat. Other native delicacies are pili nuts candy, binut-ong (made of glutinous rice), and timitim (cassava cake). Gubat's proximity to other tourist destinations like the towns of Barcelona and Bulusan makes it a perfect jump-off point for exploring the eastern side of Sorsogon. During an ocular visit for a book sharing project in Bgry. Rizal, Mayor Ronnel Lim of Gubat showed us around. The pastoral town of Barcelona which is only a few kilometers away, is well-known for its church made of corals. The irresistible town of Bulusan can also be reached by jeepneys from Brgy. Rizal or Gubat town proper. Nearest airport is located in Legazpi city. From there, take a bus bound for Sorsogon City and look for jeepneys bound for Gubat. From Manila you can also take a bus bound for Gubat. Travel time is roughly 12 hours. If coming from Visayas, nearest port is Matnog. Ride a bus bound for either Legazpi or Manila and ask the driver to drop you in Abuyog. Alternatively, from Matnog, you can also take a jeepney bound for Sorsogon and get off in Abuyog. From Abuyog, wait for a jeepney headed to Gubat. At Gubat town proper, you can take a tricycle for Php 40 to take you to Rizal Beach. Gael Hilotin is backpacking around the Philippines. She blogs at The Pinay Solo Backpacker.